The 4th of July is one of the holidays that remind me of being a kid. Being outside, eating ice cream made from Papal’s hand crank ice cream maker (which was eagerly upgraded to the automatic kind.) and playing badmitton, volleyball and baseball with the family. Just surrounded by child joy and happiness. But as an adult I sometimes find I just want to talk to an ADULT! About ADULT things that have nothing to do with work or kids. 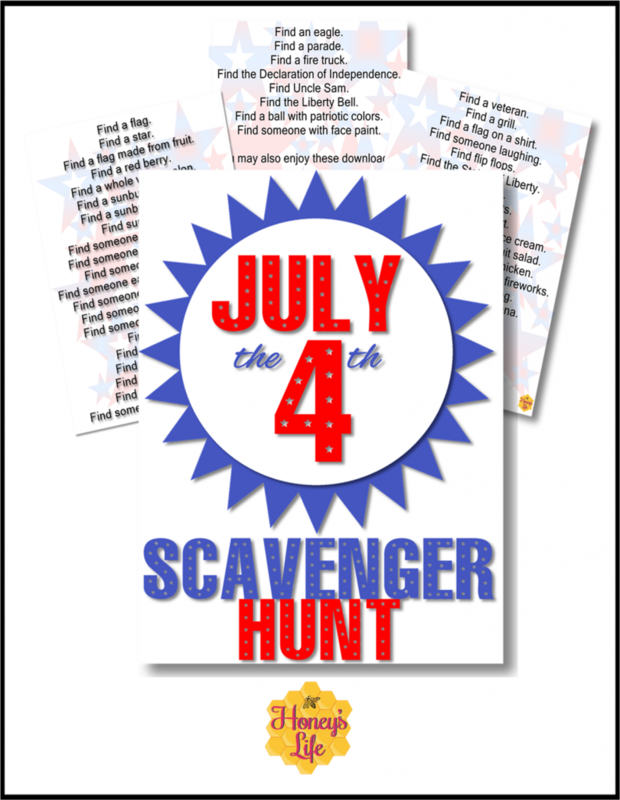 So, this 4th of July go ahead and sit down for a conversation with someone who won’t stick their fingers under the bathroom door while you’re in there and watch the kids play this 4th of July with a Scavenger Hunt! Tip! Assign or vote someone (responsible kid) as photographer so they can take a picture with your phone of what they’re hunting up with the clue. Sit back, enjoy the conversation of the adults around you (yeah…ADULTS people! ADULTS!!! EEE!!) and listen to the laughter as the kids play and be. Oh…and I highly recommend sneaking off to the bathroom not because you have to use it…just because! Last year I just sat in there for a good 10 minutes until someone came running in with a scraped knee. 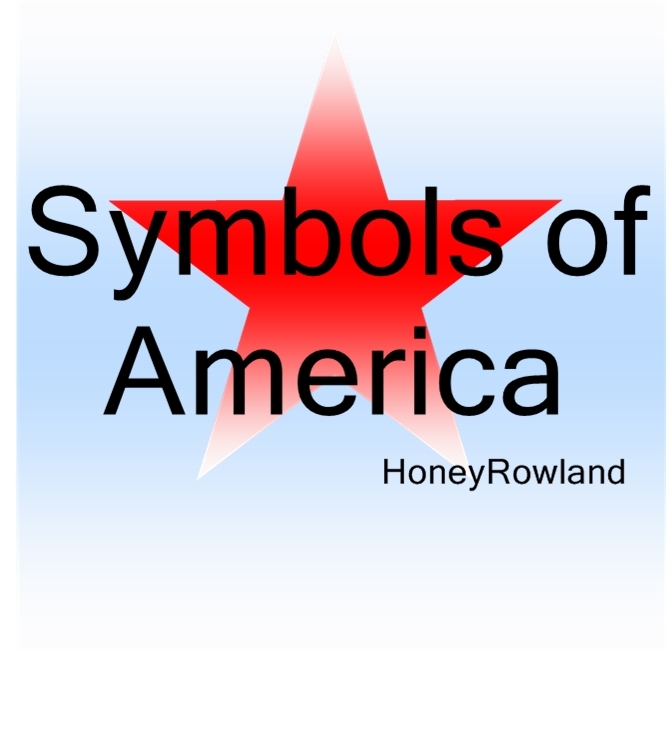 Sign up as a subscriber to Honey’s Life for your copy of the download. Don’t forget to share this post with folks so they can get this and other subscriber goodies. If you’re an email subscriber already, there’s no need to sign up again. New subscribers will get the Scavenger Hunt within the hour. If not check your in your spam folder as it may be there. Enjoy it! And, would you take a moment to pin and share it with your friends and family?